The recent Book Radical Games: Popping the Bubble of 1960s Architecture by Lara Schrijver and published by NAi Publishers is looking back at the last century of architecture theory to formulate a new direction for craftmanshipt. Going from modernist theories to postmodernists to projective architecture Schrijver cals for an ’embedding of of speculations on fundamental societal questions in the material forms of architecture that allow a multiple reading independent of societal hierarchies and preconceptions.’ [p.218] In the sense of Sennett’s craftman she urges to connect the intellect with the action to move beyond a ‘post-critical’ approach. Image taken from Radical Games / Title page with a suggestive illustration to get you thinking right from the start. In short this is the conclusion of the book. But it is not about the end point, what maters is the process to get there and in this sense this is a book worth reading from beginning to end. A beautifully told and carefully narrated theory book, that will take you through a master lesson in architectural theory. Schrijver is putting a focus on the work of three modernist critical groups to develop her position. This is to be seen of course in the recent revival of these 1960s’ ideas. Seen for example in the recent debate on Ecological Urbanism. The first are the Situationist International and their review of the twenthiest-century city. Here with a beautifully suggestive chapter title ‘From the modernist Battlefield to the Situationists Playground. The second are Venturi and Schott Brown with signs and symbols and the last is Archigram the London based group of architects, active between 1961 and 1974. The structure of the book however is interestingly based on three different elements. The areas thought to be crucial here are the city, the image and technology. Those are identified by Schrijver as the main topics of criticism and resistance of modernism. And this is for me the interesting part of the book, it is not simply again a chronological review of the history, but a purpose built argumentation. This book stands in a series of publications of young architects and architects theorists who really seem to develop a new perspective and with it start to shape a new position. See for example ‘Grand urban Rues‘ by Alex Lehnerer or ‘Subnature‘ by David Gissen. For additional reviews see also Archidose and ArtBook. Schrijver, L., 2009. 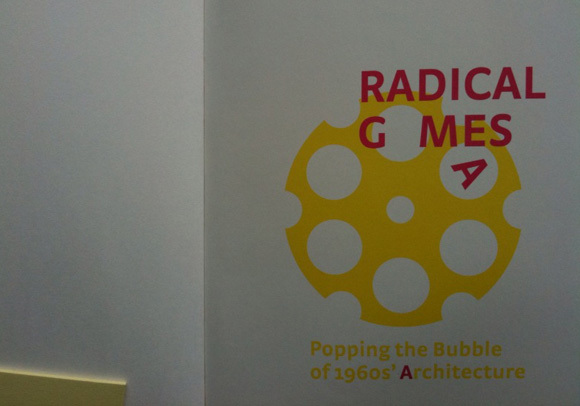 Radical Games: Popping the Bubble of 1960s Architecture, Rotterdam: NAI Publishers.